The #1 Resource for Language Learners! This is a truly interesting audio-only course on the foreign language learning market today. You will learn your chosen language through a series of CDs, without games, videos or interactive experiences via a computer, and become part of a virtual class of three students. Your fellow students speak through the program along with the tutor, giving you a potentially fuller sense of genuine immersion than those programs which are essentially glorified point-and-click flashcard games. The program consists of audio CDs – ten in a usual bundle – and a full transcript booklet. And that’s basically it. Ordinarily, this would be a cause to complain, but the content here is just fantastic on its own. It might be nice to have some sort of fun games DVD to go with this package, but really, this is only a small personal issue, and only because I am so used to having language learning be more of a flashy interactive experience these days than something you really have to focus your mind on. The audio CDs are of an excellent quality, and for most packages, you’ll find that they come in a handy little black case. Not that you’ll be wanting to use these outside much, as they do require a bit more feedback than usual from the actual student, but the neatness of it is pretty appealing. 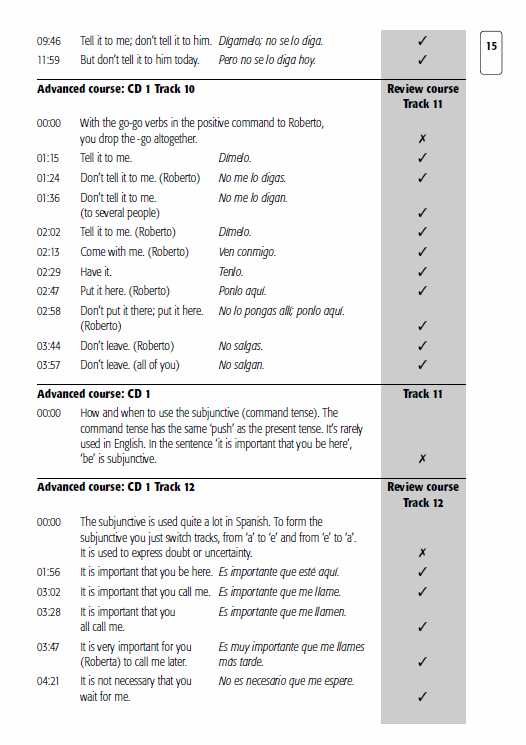 The transcript booklet is the full course, which makes it incredibly easy to follow exactly what everyone is saying, not just the tutor. Still, there are no pen and paper exercises to complete, which might be exactly what you are looking for in a course, or it might be a little too alien from however you’ve previously learned in the past. The course seems to be a relatively short one, clocking in at around eight hours for the foundation course and two hours for the advanced course, but you really can’t let that fool you. You will probably need to go through each lesson at least twice, or at least make extensive use of the pause button. This is the beauty of this program; it can be as slow or fast as you like, and there is certainly a strong sense of each of the lessons connecting in some way, usually through the grammar, with a lesson in the future. This basically means that you might start off slowly, but you will certainly pick up the pace of lessons as you progress through the course. You don’t need a computer to learn this course, which might be a definite positive for some people. I know that when I am trying to sit down and learn something as complex as an entirely new language, when sitting at my computer desk, there are just so many distractions. This course can force you to take the time out and really pay attention to it. It’s not something you can just let wash over you, you really need to be focusing clearly in order to take anything in, because without the use of the pause button, you might find that everything is going a little quickly. Again, that’s not to say that the lessons go too fast, just that you very much will need to give them your full attention, and what better way to do that than to step away from the computer. You take your virtual lessons along with a British male and an American female, who you can also hear on the audio. The Brit ends up consistently lagging behind, while the American seemed to be around the same pace as I was. A lot of students seem to have trouble getting along with the slower British guy, as he really can hold up the class, for want of a better phrase. Still, as the lessons progress, he doesn’t feature in them quite so much, and personally I think that it is an excellent idea to have mixed abilities feature on the CD. Whether you progress at the same rate as the man, woman, or find yourself doing better than either of them, it’s very helpful in making you feel like you’re in a real learning environment, which of course you are, but a more everyday one. The really fantastic thing about having other voices to listen to, the voices of students who are learning the same as you are, is that you can close your eyes and it really does feel like you’re in a classroom, because of the natural manner with which everyone is talking to. It might sound odd, but you really do forget sometimes that they can’t hear you on the other end! There’s a small point to make here, and it certainly won’t be applicable to everyone, but it can be a little strange at first to be sitting and talking so much to yourself. This course requires a lot more input from you than from others, so you will definitely need to find yourself a quiet little working space to do this, if you don’t want to feel silly, or in my case annoyed with interruptions! It’s not really the sort of course you can listen to in public, which might be something to consider if you’re picking a language course up to do on the plane while you travel, for example. The Michel Thomas program insists that you don’t need to take notes, write in a workbook, and if possible, try to keep yourself from memorizing as opposed to learning the language. It’s a really fascinating way to go about the course, but basically what it comes down to is that you have to focus yourself a great deal on the words and phrases that are being spoken by Michel and his two other students. It might seem frustrating at first, when it seems like you just aren’t remembering anything, but if you stick with it, the language is sure to sink in. An interesting point to note, if this is the sort of thing that might bother you, is that Michel himself is for the most part not a native speaker for the courses that he is teaching. Still, his accents are excellent, and he always stresses the correct syllable, etc. It really isn’t something that should worry you, but it might come a little out of the blue if you aren’t expecting it. There is a strong focus on “doing” words, or verbs, and here is where the program really shines. It is absolutely spot-on with the grammar aspect of learning language. Some programs skip over these vitally important parts of language, when you really will need them if you ever want to become fluent. Essentially, what this course teaches you to do is to break down sentences and language into the core segments of what it is trying to convey, and then putting it back together again in a way that students can understand it. This is just the best way to teach language; in a way that inspires the student to keep on learning, because they are making the language their own. And that really is the best thing about this course. It gives you the confidence in what you are saying and learning enough to really start to understand the language. This is one of the best things about this course. It is incredibly good value. Admittedly, it isn’t as flashy as some that you might encounter, and it certainly doesn’t have that multimedia aspect that is so popular nowadays, but it is an excellent learning tool. With the focus being solely on audio instead of trying to do too much with the budget, Michel Thomas have opted to really give this aspect of learning their full attention. This is clear from the quality from the lessons as well; you can see that the majority of the content comes from experience in taking lessons. The mistakes made by the other two “pupils” are sometimes obvious and sometimes a little obtuse, but it’s still reassuringly as though there are other pupils actually there with you. If you know you are one of those people who need to learn with a variety of different methods, then this course is not right for you. It’s similarly not very useful for children, as it requires you to sit somewhere and pay attention to the audio for a really long time. This can be great for adults sitting in the car on their way to work, or for those who have a quiet space to sit and learn, but I’m not sure that this is the easiest course for children to work on. Still, for an adult with a relatively good attention span, there aren’t many other solely audio programs that are better than this, and certainly not within this price bracket. There might be better programs that offer you a wide range of how you want to learn, but the Michel Thomas package is by far the best audio-only on the market, so if you know that you can learn well by listening and using your imagination, then I would certainly recommend this package for you. I have to refresh my high school French from several years back, for a future Paris vacation in June. Someone recommended the beginner’s set for Michael Thomas. I’m about to finish the 10th CD, so far, I give it high grades. Michel Thomas claims that memorization is not required but when you think about it, you will still need to keep in mind the matters that you are studying about. Being able to listen to 2 of his students during their trial and error replies is really helpful. I will do my best to complete the entire CDs and review them before the vacation. I realize that it is already assisting me to learn the basics. I already had a good amount of French, but I still desire to use this highly graded application to refresh my present skills. The system utilizes a classroom setup, with Michael Thomas as the instructor and 2 starter students, a guy and a girl. This indicates that you improve at the rate of the slowest learners. When the learner has difficulties which are normal, you have to anticipate for the learner to get it eventually. The cost for this program is like a waste of my funds and time. The worst part is when you reach CD 5, the guy student starts to dominate the microphone and respond to Thomas’ questions, leaving the girl student behind. In the prior parts of the CDs, the students exchanged responses though you could acquire slight indications that Thomas favored the guy. I am not sure if the advanced language programs are arranged in this manner, but I would definitely return this. I am trying to like this program, but sadly I cannot entirely be eager about it. Actually, I am starting to believe that there is no excellent language course yet that has been created. I will talk about the good sides first. The technique is really conversational and does not appear to be extremely repetitive. Possibly you will be able to understand matters very rapidly. The associations and explanations create vocabulary building to be pretty simple. This is very opposite to the immersion method of Rosetta Stone. For instance, check out their online demo and you will be shown with images of 4 different individuals and you will have to link them with the 4 words given. But, if you have zero familiarity with Spanish and have no clue what the differences are, then you might get lost. A person who is attempting to study a language for the start would possibly feel the same way. Another positive part of the conversation topics is that it appears to be natural and applicable. This is different with Pimsleur series, where most of the conversations appear to be extremely constricted and somewhat useless. I am neither a book editor nor an engineer and spending as much as an hour in language learning does not seem to be an excellent use of time, when I could spend that time for other more useful matters. The above mentioned are the points in which this program excels in contrast with its rivals. But in any kind of product, there are possibly some drawbacks. I’ve learned that Michael Thomas is not really a native Spanish speaker and for me this is not the utmost method to learn the language. The worse part is the students and their terrible pronunciations. Listening them talk for a long time is truly irritating and will actually reinforce wrong practices that a learner should avoid in the first place. Listening to individuals who would not even attempt to spin their R is not a good approach when you are attempting to study Spanish. I am just anxious that the more I listen to the CDs, the poorer my pronunciations would turn out, then I could try listening to Pimsleur, but I would not have the chance to converse my imaginary engineering developments. 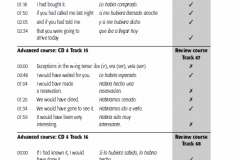 I have used different Spanish language programs like Rosetta Stone, but I found that I should have stumbled first with Michael Thomas’ beginners course. As of now, I am able to sue it on a daily basis, particularly when I am riding the car. It is very useful that I am able to play it, and then pause after the questions have been asked and I will respond. The pause feature is the technique and the whole approach is simple to follow and I am really surprised at how rapid I am able to understand complicated sentences. Ample vocabulary is initiated along the way. I still apply other language programs, but this one is more motivating and fun. The package is simple and fun and I really have a good time listening to the CDs while I’m in the car and stuck in the long traffic or just on a road trip. I definitely recommend this product if you want to learn French and have plans of travelling to a French speaking nation. Studying Spanish using Michael Thomas is highly addictive and engrossing. I really look forward to driving my car and listening to the CDs to learn at the same time. His technique is interactive, with this instructor who is really educating 2 students while you listen and respond to the questions afterwards while you pause the CD. After that you will listen to learn if you have responded to the questions properly. 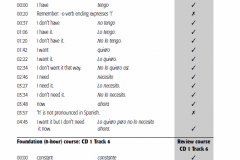 I have taken Spanish lessons when I was in high school and college and discovered that this CD is very practical and enlightening with regards to the baffling tenses. I will have to repeat listening to the CD numerous times since it is not possible for one to recall the entire details. Throughout my encounter, I still see the necessity for a pre-beginner language program. I would get this and the other advanced CDs that is available due to his approach and I know I will be able to absorb something from them. This is the first time that I will be writing a review and I want to inform others that Mr. Thomas is the master in different languages and this course is really amazing. You will be educated with proper grammar and in a very simple manner. This course will not lead to making you fluent in a particular language but this is a good start for beginners to learn Spanish. Master Thomas really has a good comprehension of the language and he will instruct you a lot of techniques. Sadly his pronunciation is not very good because he is not a native speaker in the languages he is teaching. For me, the best I’ve ever experienced in language learning. Michel teaches you in a very practical way, and the first day you are already able to say basic sentences, which keeps you motivated to keep on going. The best for me is that he makes you understand the language, and therefore, you are able to recombine the learnings and make your own sentences. Nothing to see with Pimleur method, which keeps on going for half an hour with the same sentence, again and again. Or Rosetta, which although I find it slightly better, you learn much slowlier. I agree with the previous comments in that the students may become a little painful sometimes, and that the accent is not great, but what expect from a language course is being able to talk, getting understood. And I have done it with Polish and Italian. I DID NOT TRY THIS PRODUST BUT I HAD TO RATE IT TO POST MY COMMENTS. ie, No stumbling students then I would reconsider. 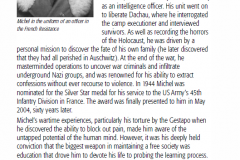 I read that the arabic and russian “Michael Thomas Method” use native speakers. Yet From what I read here and elsewhere Michael Thomas does a good job at teaching useful everyday basics of a language and it is a shame he does not have a Book/CD/Work guide combo. 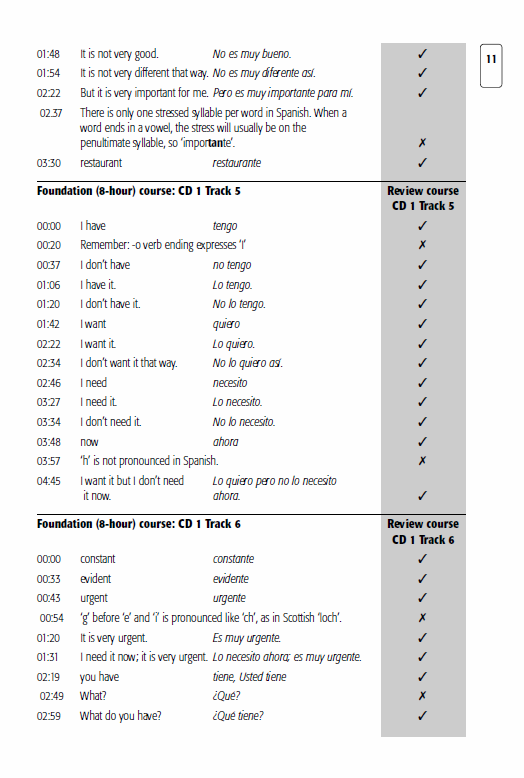 At least the CD’s have a transcript unlike Pimsleur. 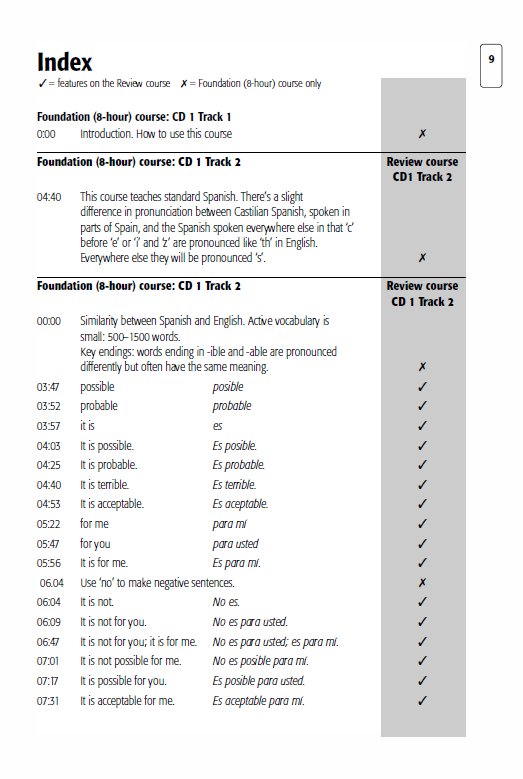 This is he worst language course I have ever come across – unbelievable. The “classroom method” is incredibly inefficient, annoying and irrelevant. The pronunciation for all three of them is so bad it’s an insult both to you as a buyer and to the Italian language. They are for instance completely incapable of pronouncing the Italian infinitive with the unstressed ‘e’ in the end – they don’t even try. For difficult languages go for Pimsleur to start. But not on its own. I’m doing Pimsleur Japanese right now together with Japanese made easy. A perfect match! I’ve got a lot of language learning packages to compare and started to get amazed about the price of MT’s packages and its efficiency. Its like you learn the mistakes as well. So it is not efficient and the price is high. The best package for me is pimsleur. I don’t find thefact that MT is a non-native speaker (French Foundation) to be a problem, and the use of two students (one struggling and one doing well) puts the listener in the middle, and hopefully in with the better of the two. It won’t/can’t be the only language course you use, but it is a good way to get comfortable with the language in a less-formal setting. I find that overlapping the sessions by a chapter or two each session allows me to do a little review and make some progress in 30 minute sessions. The chapters are short enough to get through 3-4 in that time. I think the serious student will back this up with a book or a classroom setting, but the MT course is the least boring audio course i have found and it keeps things moving. I’ve heard many great things about this course. I’m currently using the “Masterclass” German course. For me, it’s just TOO simple. I’ve used everything from Schaum’s Grammar to this… why can’t there by something in the middle? I’m giving this one 5 stars for the simple reason that it works. I got the Japanese version and started today. I’ve done Rosetta Stone and was disappointed. Within 30 minutes with this new method I had a better understanding of the grammar and simple sentence structure. I really like how the material is pertinent to things I really want to know, not random crap like how to present a business card or endless phrases that run by so fast I can’t keep up. 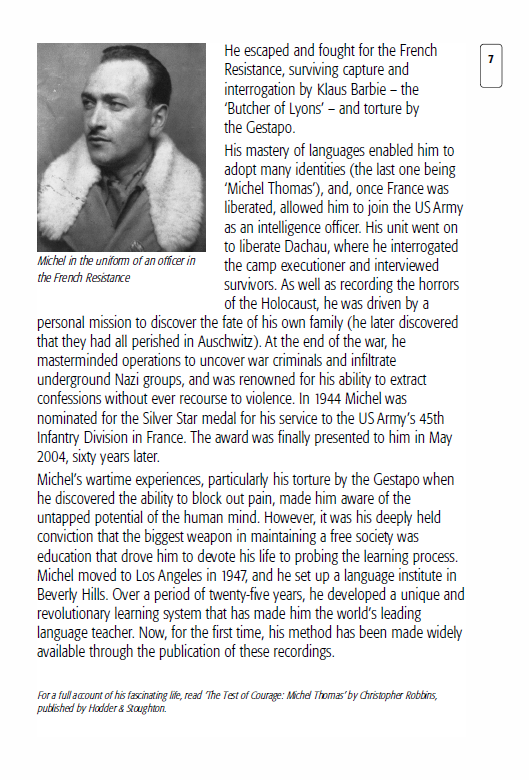 Another point: the Japanese class is taught by a female brit, not Michel. Her accent is okay, but not perfect. In the class are a male and female and there is a native female Japanese speaker to get things exactly right. I really like the pace and the lack of perfect accent is okay by me; there will be time for that to come. I have tinkered with Japanese for many years because my wife is Japanese. I hear it constantly at home and can understand a little. Not until today could I actually form a sentence with confidence, and this was only after about an hour. I know many nouns so I could easily substitute the ones I know for the ones in the lesson. This is actually fun. I’ll do a follow up in a week or so and post my thoughts after going through some more lessons. I am from here on a strong advocate of MT and his method. 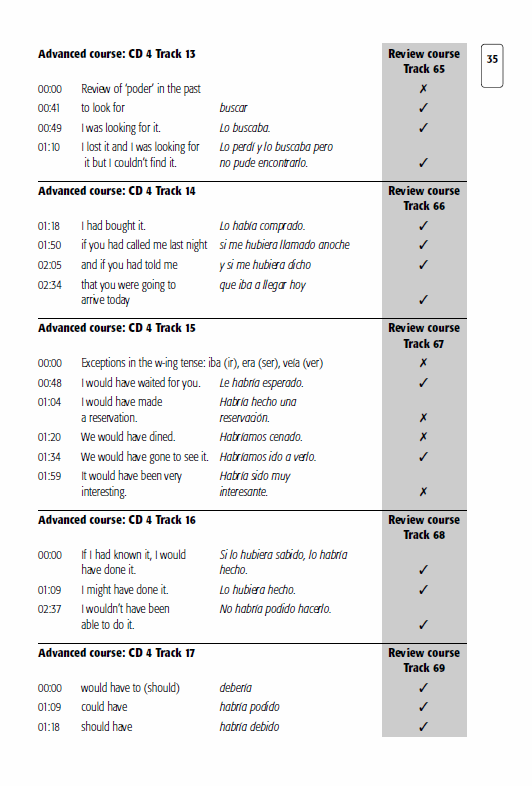 I have tried many different routes to learning/teaching Spanish and I always come back to him. I honestly feel that without having MT lay the foundations of Spanish for me the way he did it would have been unlikely that I would have continued to study Spanish. My success even gave me motivation and confidence to learn other languages and my world has gotten that much bigger because of it. If you have the patience and focus the MT Method will definitely pay off for you! I work as a bilingual (Japanese/English) engineer and do quite a bit of translation at work. I also enjoy studying languages as a hobby. I have the Spanish Total/Perfect/Master. I like it so much I am considering trying to learn with the Italian version. Michel Thomas clarified a lot of things I had trouble learning with other programs. Highly recommended if you want to learn the structure of Spanish. If I could give this course zero stars I would. It is garbage. Worse than garbage if someone actually pays money for it rather than checking it out of a library. It is boring and the worst part is their accents, especially Thomas’ Spanish accent. How is he qualified to teach it if he can’t even pronounce the words. Horrible. He is nothing more than a con artist and the fact he was able to sell his courses to the public is a sad statement on how gullible the general public can be. Hated his voice, with his goofy sounding German accent. Look up the word payaso if you want a one word summation of what I think of him. What a complete insult to the Spanish language to have this imposter pose as a genuine teacher. I worked my way through the Dutch courses, including the “Advanced” one. I agree that the method is good for teaching grammar and syntax (without frightening people by using those terms). It teaches very little vocabulary, but then it doesn’t claim to. With the help of the classified vocabularies in the Berlitz phrasebook, I was able to manage as a tourist in Kortrijk and Bruges, and—most important of all—the Flemings could understand my pronunciation. In all, this is a good starter course. I don’t know if anybody realized (I think that some people did) that these students are possibly made to introduce us to the common mistakes that beginners make etc. This program doesn’t teach us only THE CORRECT form but also shows us what WE SHOULDN’T do. I think that it is actually great idea. Before I’ll even think about mistakes I am making, one of the student’s make them and then when Michel corrects them it sticks to me…I feel that it’s really great course…not the best, but really good. I did both levels of the French course as a recap before a holiday and Total German (the beginners course) from scratch. They have all worked well for me and once abroad I cope fairly easily with basic conversations, getting about and most day to day requirements. Dodgy accents have not been a problem as MT was fluent in both my languages although I occasionally found myself screaming at the my moronic ‘fellow students’. As soon as I can find where I have hidden it I will move on to the Perfect German course. I have found that the Michel Thomas method is an extremely good method of learning the basic structure of a language and it gives a reasonable explanation about how the German language has developed. It is a tad light on vocabulary but that is nothing that you can’t build on for yourself. The Michel Thomas method appears to work best for those who can learn almost entirely by listening and repetition. If you learn by reading or by interacting with real people then MT courses are probably not for you. I’ve tried a lot of different courses over the years from Linguaphone to the Ulpan in Israel and studied, French, Spanish, Greek, Hebrew and Japanese. This course in Dutch is second only to the Ulpan for me. No getting into the technicalities, just get on with speaking the language. When I attempt Polish I shall certainly start with MT. Best starter course out there which will definitely make one learn the language instead of simply memorising stock phrases or sentences. With this under the belt, one can move on to other courses and textbooks to increase vocabulary, and learn the grammar in a more structured manner. Screw Pimsleur, screw Rosetta Stone, all you need to start out is Michel Thomas. I’ve studied many languages in my life (spanish, english, german and french). I’ve used a lot of different kind of courses like classrooms, duolingo, Tandempartner(I don’t know the english word, but is a german word for a talking partner for learning), etc which have been effective after a long time. This method, in contrast, makes learning a language a LOT more natural. Not only michel thomas teaches you how to speak normally but eases a lot your understanding of the language by giving you references and teaching you intuitive speaking. This course does not force you to do things like memorize, learn grammar, etc. It just teaches you the same way you learned your native language. 1st you must listen to everything and pause when michel asks you to say something. 3rd along the lectures michel talks to you about the language and tries to correlate what you know from culture with that language. 4th The learning works similar to how you learned as a kid. He teaches you simple small phrases and asks you to say things based on on uniting those phrases and working it out. This makes you understand how the language works and makes your mind work more natural towards the language. * You learn the spoken language instead of the written language. * You learn to be dynamic and to feel the language as the people who speak it. * Avoids using specific grammar structures for writing purposes and makes talking feel more natural. * As you progress the difficulty gets higher and keeps a review of what you know. * Michel gives you a foreigners insight to the language. This helps you get into it a lot easier. * Best method for beginners. * Has reviews which help you evaluate yourself. * Not useful method for B2+,C1,C2 level speakers. * You won’t learn to write or read the language but It’ll make learning those skills a lot easier. 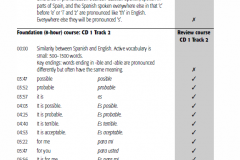 * Try to pair this method with conventional methods: duolingo, classrooms, rossette-stone, etc. * Use music and read articles you like in that language. * If you can find a tandempartner with whom to practice. I highly recommend the french course. I found that using the Michel Thomas method for basic Spanish was absolutely essential. For a beginner Spanish speaker, his method absolutely works. This is especially true, if the beginner learns how to conjugate a few basic verbs and does minimal vocabulary research prior to listening to the CD’s. 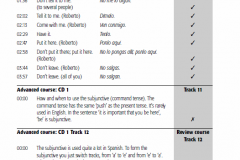 The MT method should not be the last stop on the road to learning Spanish. However, it should be one of the first stops along the way.